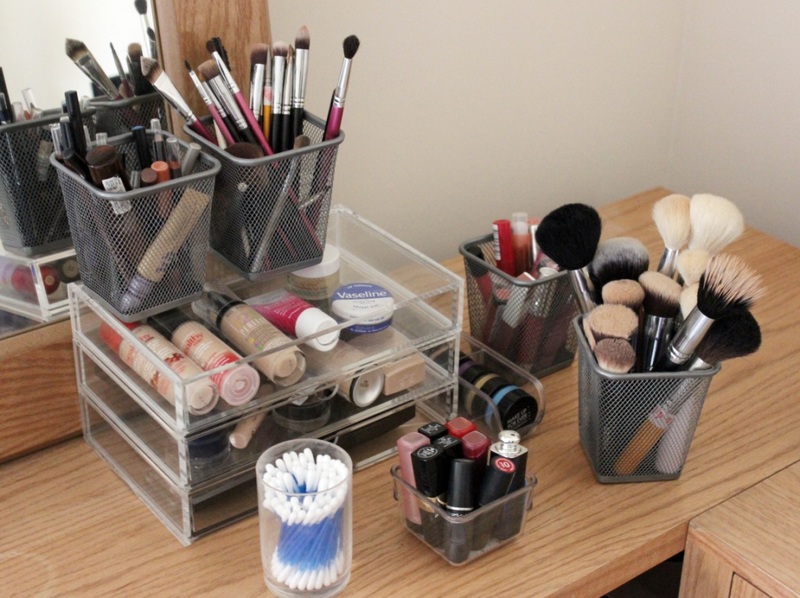 Ah, organised makeup. Is there anything nicer to look at? I’d like to say my makeup looks like this all the time but that would just be a lie. It usually looks nothing like this, well actually that’s not true either – it usually looks something like this but with makeup brushes everywhere. I became a bit storage obsessed the last couple of months because one day I realised I was literally using 10 products over and over because I couldn’t find anything else. Everything was splayed everywhere, brushes, makeup, cleansing disks and q -tips, it was like a bomb had gone off in Boots. So! What is a girl to do but pick up some pretty plastic things and shove everything in them! I picked up the grey cup holder things in Ikea in Kuwait last year, they hold brushes, lip products and all manner of eye products. They’re super easy to keep clean and pretty sturdy too. The three drawer set is from Muji, which you can order online here. The bottom two drawers pull out and the top lid lifts off – unfortunately, it arrived here broken so that’s why I’ve plonked some stuff on top of it because the top lid doesn’t sit the way it should. 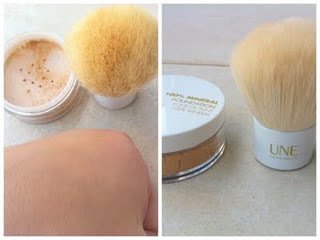 It’s perfect for storing day to day makeup and products I use more than once a week. Although the drawers are not overly deep, you can see in the bottom one I’ve got two INGLOT palettes on top of each other there, so it’s just the right size really. I like being able to see exactly what makeup I have which is why I love these, wooden drawers and so on would never work for me as I’d never use anything in them. It’s all about the visuals! Lastly, some random plastic containers I picked up in a household store here. I wasn’t really sure what I’d use them for when I first got them but now they have the very important job of holding my current favourite lipsticks and some of my MUFE Aqua Creams, respectively. 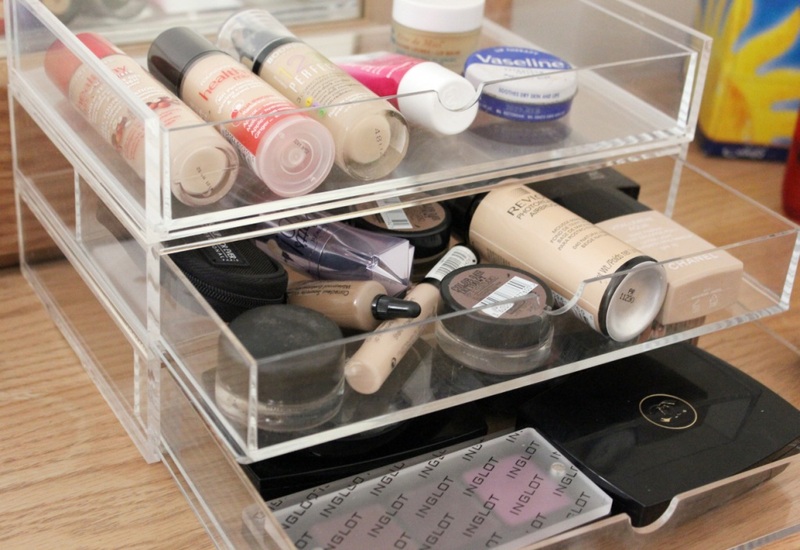 Plastic/see-through storage really is the way to go in my opinion, I totally forget about different products unless I can actually see them and interestingly, since organising this little set up I’ve noticed products are being used up quicker then usual. Result! 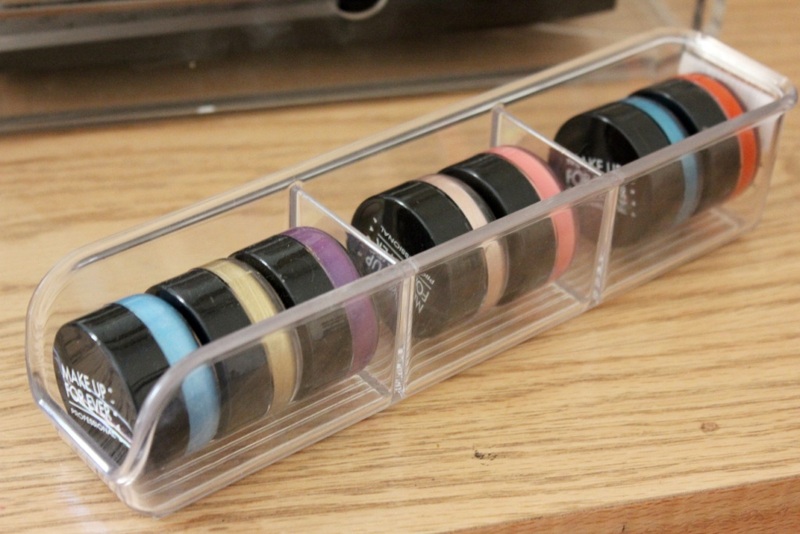 Do you store your makeup like this? 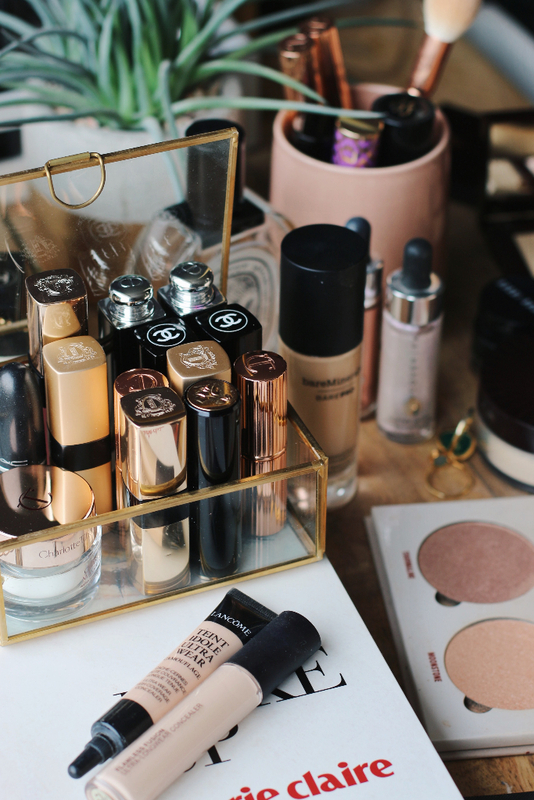 And, if you have any good links to makeup storage blog posts send them this way, I’m currently obsessed with everything to do with organisation! When are they coming out??? Oh I love storage and am a massive fan of muji. 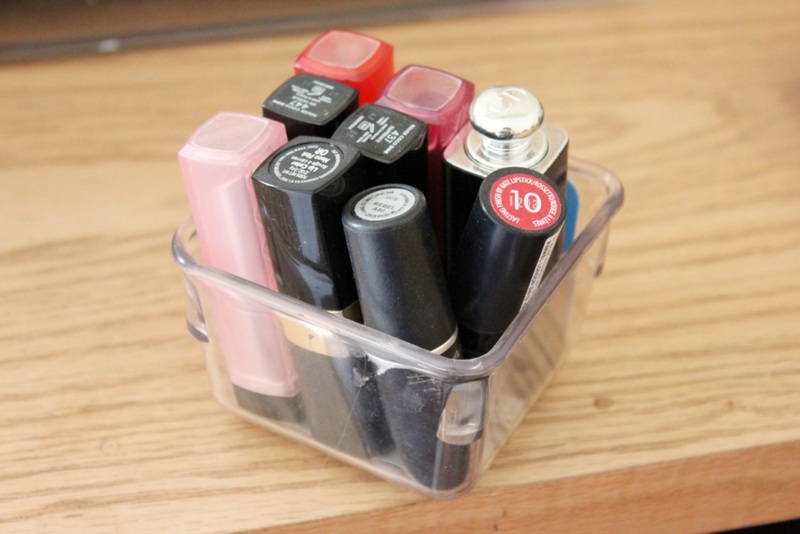 I was inspired my beaut.ie post http://beaut.ie/blog/2012/spring-cleaning-the-beauty-edition/ to organise all my make-up. Ooh thanks! That post made me salivate a little! love it! I need to organize my make up…right now they’re all loosy goosy in a basket…not practical! Are these the narrow or wide draws? I love Muji for storage, I badly need more of these containers. 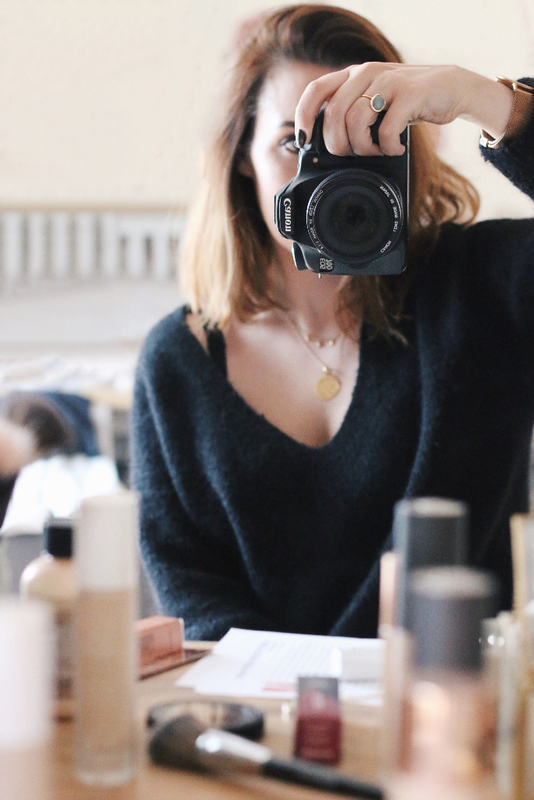 My makeup is a bit of a chaotic mess atm! I live those plastic Muji drawers. I have the 5 small drawers with the 3 larger on top. It makes things so easy and looks great and I agree it helps me see what I have. Ahh! I love your make up storage its just perfect 😀 , not too much or too little! I always manage to clutter my entire desk when organising my makeup and brushes, and its a little annoying because I use the same desk to study too! Grr. I’ll probably attempt to organise again after seeing yours!